QR Codes are here to stay! 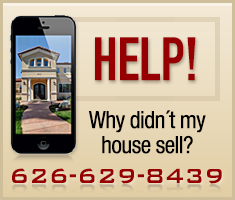 Are you selling your Pasadena home? If so, is your agent tech savvy enough to use QR codes and do they really help sell your home? A QR Code stands for Quick Response Code and allows users who have a smart phone like an iPhone or Android to have an interactive digital experience. If you have a QR Code on a Just Listed postcard or a property brochure, it can take users to a website that has all the information on your home, additional photographs and neighborhood information or anything else that you'd like to highlight. For example, the QR Code below will take you to the website of one of my listings in Pasadena. If you have a smart phone, give it a try. Make sure that you have a QR Code Reader installed first. If not, go ahead and download a free QR Code Reader from the Apps Store. I like the I-Nigma and use it on my iPhone. Open the QR Code Reader App and point your camera at the QR Code on the screen below and it will take you to this Pasadena's home for sale website. Makes for a great interactive experience especially when home buyers only have a piece of paper in front of them. Home buyers in the Pasadena area are very savvy. They also want do their research. The more information that you and your real estate agent can provide, the more likely you are to peak their interest. 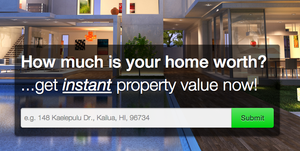 Will QR Codes sell your house? Maybe... maybe not. However it is the real estate agent's responsibility to market your home for sale using every tool available to them. QR Codes are new and hip. Buyers expect to be wowed especially when looking at expensive real estate. So... go ahead... and have your real estate agent use these fun and creative QR Codes. Or, better yet, give me a call, if you are thinking of selling your home and we'll discuss QR Codes and the most effective and powerful marketing techniques available today! You can reach me at 626-629-8439. READ MORE: Why didn't my home sell?